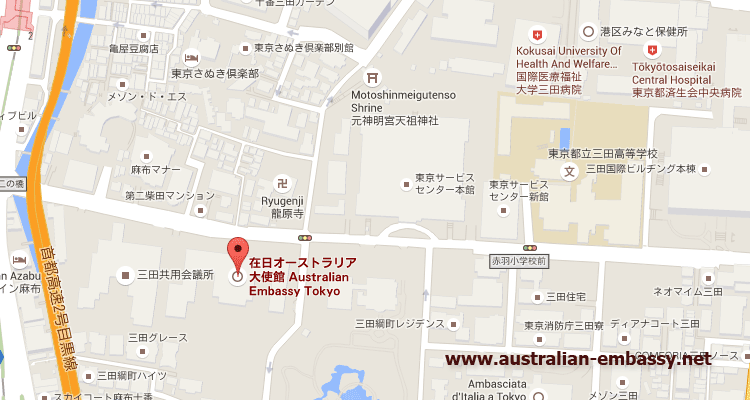 Tokyo is home to the Australian Embassy in Japan and there are also a number of Consulates in Japan. 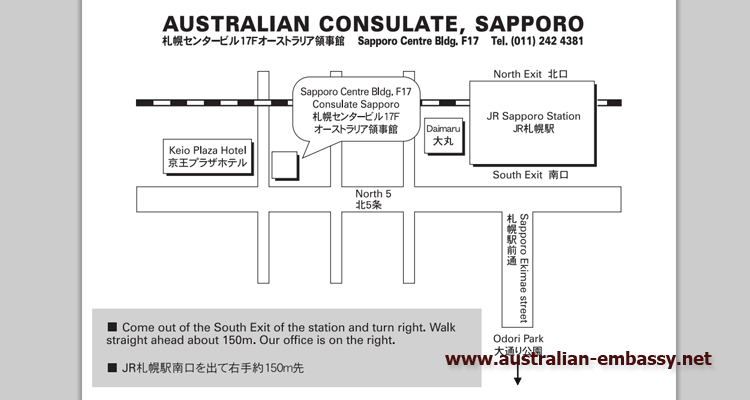 There is an Australian Consulate on Osaka, Australian Consulate in Fukuoka as well as an Australian Consulate in Sapporo Japan. 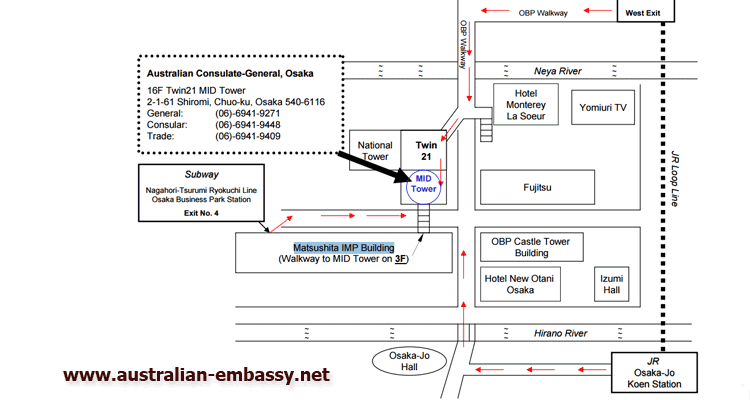 We have added all their contact details below with a map to each of the Consulates as well the the Embassy in Tokyo. Note that the following Australian visas are processed at the Australian Embassy in Seoul. 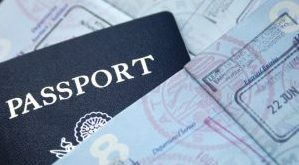 These visas are the Migration, Visitor, Student and Temporary Residence visas. We have added the link to the Embassy in Korea as well as an online link and costs for certain documents which have been added below. Start the process online as shown below. note that as a Japanese national you do qualify for the Australian Working Holiday Visa. 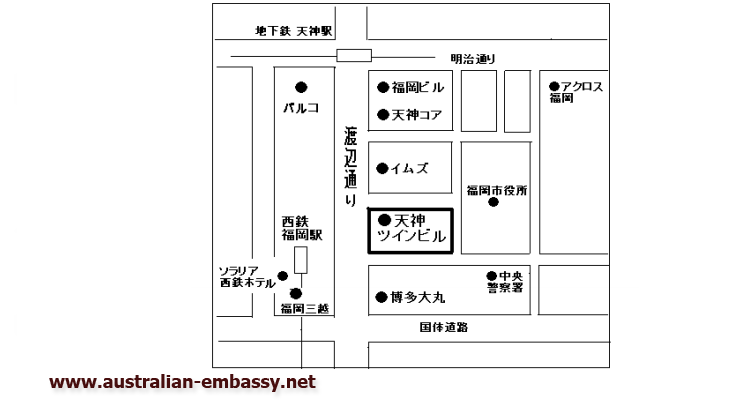 See the maps for the Consulates in Japan as well. All immigration services are by appointment only. All passport services are by appointment only. The counter will be open BY APPOINTMENT ONLY. If paying by postal money order, you will need to send it to the Australian Embassy in Tokyo. Notarial and Passport services are by appointment only. You can lodge your documents in person at the Australian Consulate-General Consular Section. An appointment is required. To request an appointment, please complete our Online Enquiry Form. Please note that Notarial and Passport services are by appointment only. Please use the Notarial Enquiry Form to arrange an appointment.